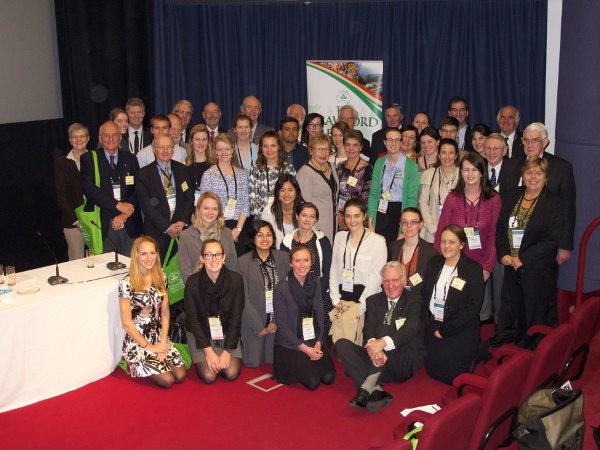 The Northern Territory Program was established in April 2002 to provide a Northern Territory focus for the Crawford Fund’s training programs. 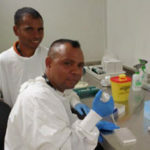 It aims to increase the number of trained technicians, technologists and scientists in developing countries to undertake useful and effective R&D activities for the improvement of agricultural productivity and food production in these countries.The strategic approach of the Program recognises the need to promote international agricultural research to assist in the alleviation of rural poverty with an emphasis on Southeast Asia, especially East Timor. It also aims to develop linkages between Territory institutions and agriculture and resource conservation specialists in these developing countries to facilitate the transfer of technology and assist in training for rural and regional development. The Northern Territory Program aims to identify and develop initiatives that make use of local expertise to benefit countries overseas while also creating educational, business and trade opportunities for Northern Territory. Local business people, academics, rural and fishing industry representatives and others are welcome to provide input into the decisions to be made on the program’s focus and priorities for its Northern Territories constituents. 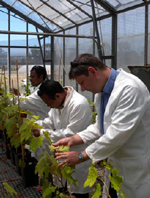 In the Northern Territory, applications are invited from honours and postgraduate students interested in gaining international agricultural research experience in developing countries. Reports from previous awardees are linked on this page. Applicants should be enrolled either at Honours Level (following a 3‐year degree course), in the fourth year of a four‐year degree course, or in a postgraduate degree (Masters or PhD). Priority will be given to Australian nationals and permanent residents. The award takes the form of a bursary to a maximum value of $3,000 per awardee, and can be used for airfares, other travel costs, accommodation and subsistence, and/or operational research costs. 17 researchers and academics from six universities (Charles Darwin University, Australian National University, Western Sydney University, Nusa Cendana University, Halu Oleo University & Christian University of Wira Wacana) met in the mountain town of Soe, in Central-West Timor, Indonesia, for a three-day writing workshop. Coordinated by Rohan Fisher, Dr Sarah Hobgen and Sam Pickering, the workshop was part of a 3.5 year DFAT-funded small-scale mining project on artisanal and small-scale mining for development in Eastern Indonesia. Crawford Fund training held in Darwin aimed to build capacity in natural resources and indigenous livelihoods for Indonesian participants. The course covered theory as well as hands-on activities around community-based enterprise development, sustainable livelihoods and indigenous rights management. Mangoes are one of the major fruit crops grown in the Northern Territory. Extensive training in mango research, across six scientific disciplines, was undertaken for 38 delegates from Vietnam, Cambodia, Pakistan, Fiji, Philippines, Australia and Indonesia. The training was held in Darwin, just prior to the XI International Mango Symposium ‘Science Supporting the Mango Industry’. 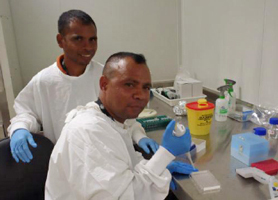 There are limited opportunities for plant biosecurity and quarantine training in East Timor, but it is of vital importance to the country’s food security and to regional biosecurity. 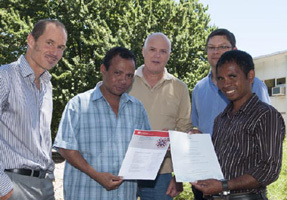 Crawford Fund’s NT and WA committees pooled resources to support training to bolster biosecurity skills in Timor Leste. 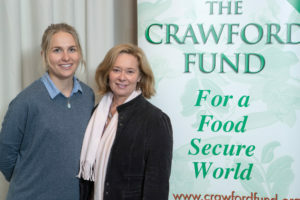 The scholar supported by the NT Committee to attend the Crawford Fund’s 2018 Annual Conference was Samantha Nowland. Read her reflections from the 2018 conference here.